» News » Corporate news » Thomas Illies, new member in the Tradecorp Europe team! Thomas Illies, new member in the Tradecorp Europe team! We are proud to announce that Tradecorp Europe has welcomed a new member in its team. Thomas Illies has started working with us the January 3rd, joining the EuropA Technical Department as the Technical Coordinator. Thomas will provide agronomical and marketing support to our clients in Ukraine, Russia, CIS countries along with Germany-Austria, respectively managed by Rostislav Demianenko and Thomas Müller. He will report to Vincent Claux (Technical Director of Europe). He holds a Master’s degree in “Business Administration for Managers in Agriculture and the Agricultural Business,” from the Anhalt University of applied Sciences in Bernburg, Germany. In addition, he also has a diploma in Agronomical Science from Agricultural Timirjasew Academy in Moscow. He is a native German speaker, fluent in English and Russian. Thomas has been working abroad for several years, gaining great experience and expertise in different fields of the agriculture market as a farm and project management specialist. 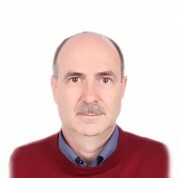 He has been working in Germany, Russia, Kazakhstan, Mongolia, Azerbaijan and China, covering positions such as: seed agronomist, arable crops expert (potato, beet and cereals), new Agro technology project leader including trials, demo and field-days management, and training and education seminars for farmers.